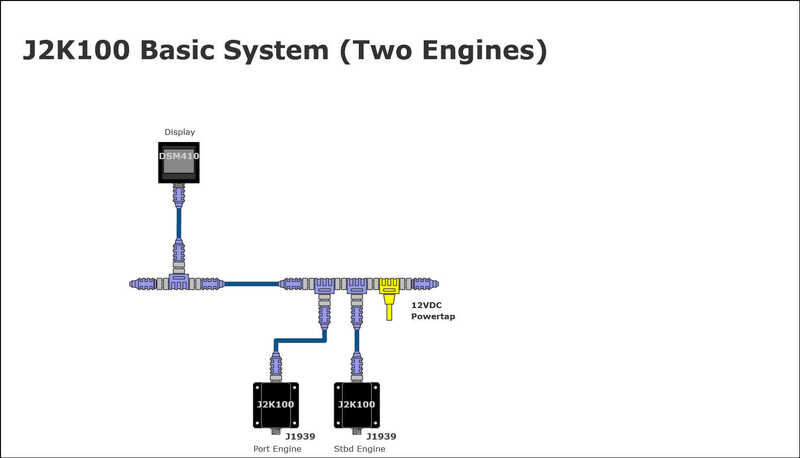 Most modern electronic engines have a digital interface called J1939. Maretron’s J2K100 is a gateway that converts the J1939 protocol to marine industry standard digital protocol called NMEA 2000. The J2K100 converts many engine parameters including RPM, boost and oil pressure, oil and coolant temperature, voltage, fuel rate, engine hours and more depending on the particular engine. The following screenshots (click to enlarge) are examples of how the engine status will be displayed on the DSM410.